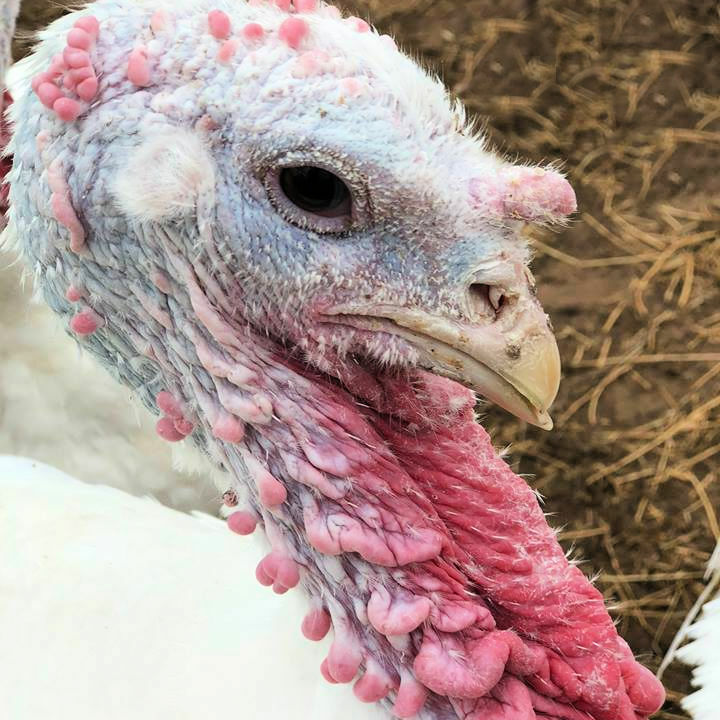 Start a new Christmas tradition by sponsoring a turkey through Where Pigs Fly Farm Sanctuary's Sponsor a Turkey Project! 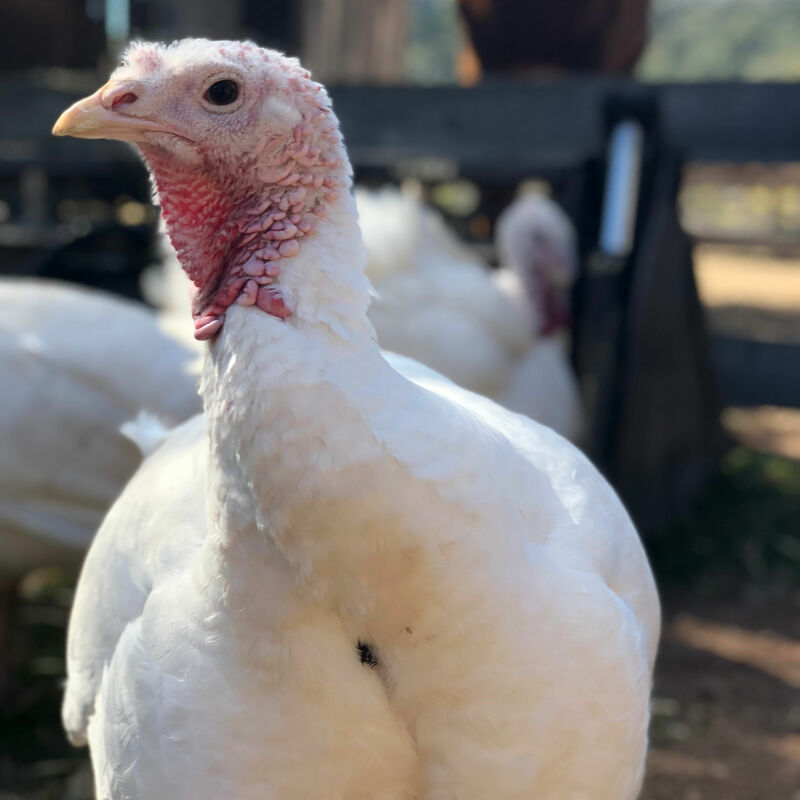 Each year, Where Pigs Fly offers the opportunity to sponsor a rescued turkey and support our efforts to care for these beautiful creatures throughout the year. A $75 donation enables you to sponsor a turkey of your choice. As a sponsor, you will receive a beautiful colour photo-card of your turkey friend along with her personal profile. This will be mailed within five working days of receipt of order. Our animal sponsorships make fantastic and compassionate gifts for your family and friends. Please use the comments box when ordering for your mailing instructions and your message. Bunce was one of eight turkeys rescued from a factory farm. Bunce is a very cool turkey. A little bold and bossy, she loves melon and kiwifruit. Bunce is someone, not something. 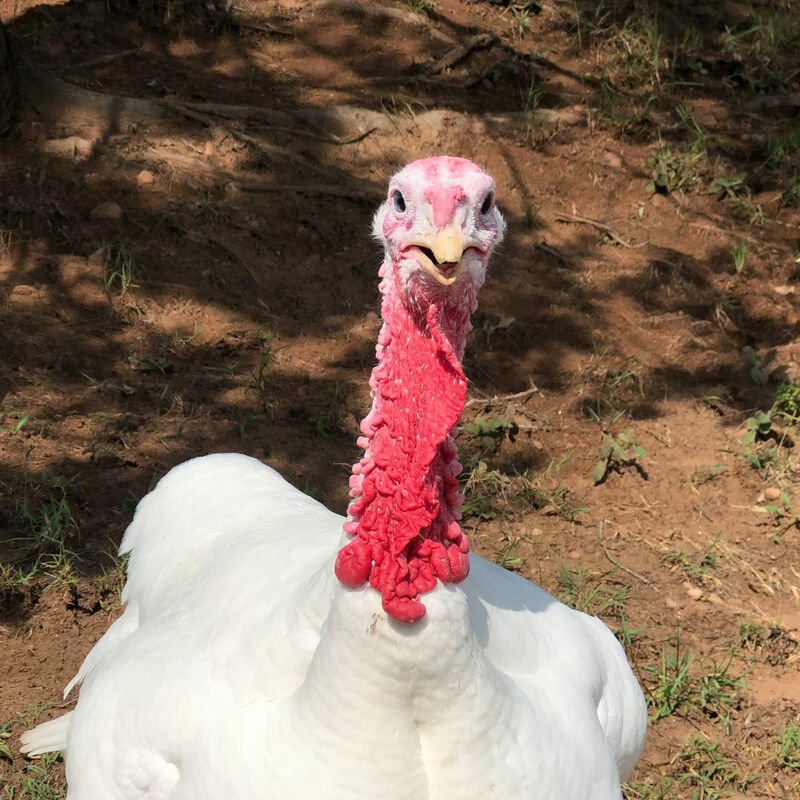 Spike was one of eight lucky turkeys rescued from a factory farm in December 2016 along with Bunce and Banjo. Spike is a thoughtful and curious and very affectionate, she loves to eat pumpkin and cranberries. Spike is someone, not something. Banjo was rescued from a factory farm in December 2016. Since arriving, Banjo has made friends with the other residents and enjoys napping in the sun. Banjo is still the shyest but start stroking her feathers and she will fall asleep right next to you. Banjo is someone, not something.